Where are your team requirements? Define your business needs in one place. Business needs come in many different forms, formats and language. Bringing them all together in a single place, removing redundancy, and connecting interrelated content is the first step to requirements definition and management. Rational DOORS Next Generation is IBM’s next generation Web based team environment to capture your business needs, diagrams, use cases, design, storyboards, and other critical project information that will help drive your business. When a new project is started the majority of the time business needs (or requirements) are captured and defined through text. Rational DOORS Next Generation provides a complete Web based environment for documenting rich text project information providing your team all the typical controls that you would expect in a word processor but with the added benefit of a shared team experience. 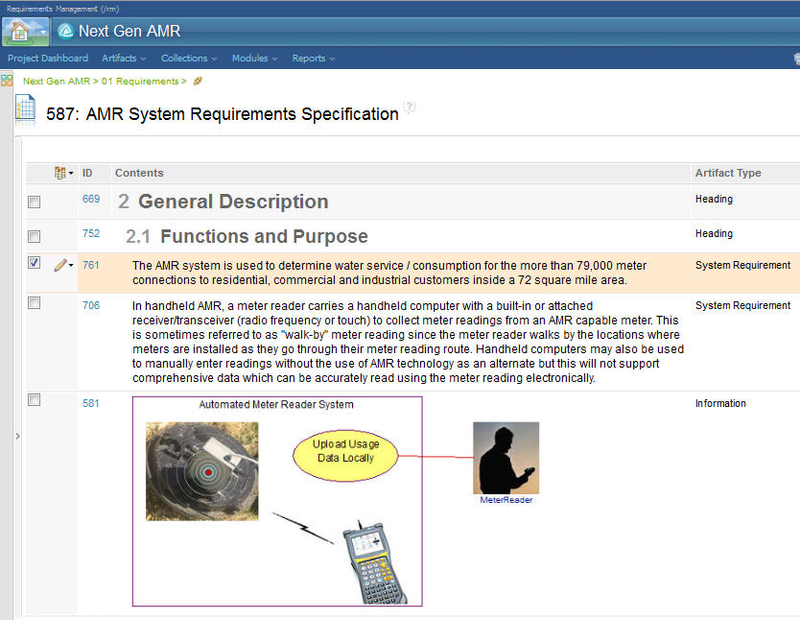 Rational DOORS Next Generation gives your team members a great way to capture their information using standard templates and a project wide glossary to help unify development teams around a common vocabulary. 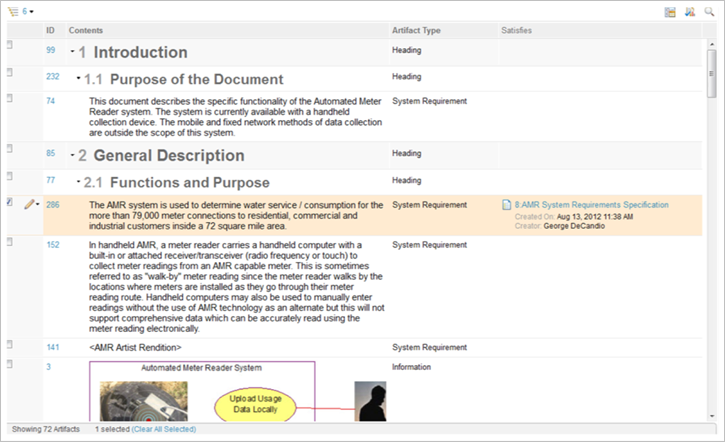 In Rational DOORS Next Generation your requirements information is tracked in artifact records. And artifacts can be arranged into a specification structures called modules. Modules let you create parent child structures, group common requirements together with headings, and control the specific order of your information. This is incredibly powerful especially if your organization is already accustomed to working with requirements in a document or specification format. This will allow you to quickly start up your new project based on existing development processes and then give you all the added benefits of collaborative online team working, analysis, and traceability. If your development preference is more loosely structured and focused on using a more flexible database method based on record management then the same requirement artifact records can be managed individually or in saved queries called collections. Collections allow users to quickly pull requirements from the project into a view based on attributes, filters, tags, or arbitrary selection. For many iterative and agile development teams this is a preferred way of working. It allows them to designate a group of requirements together for a specific task without necessarily impacting the requirement with a physical database move or a change to the requirement. Rational DOORS Next Generation gives you the flexibility to manage your requirements in an organization style that fits your needs: Individual artifact records, in module specification structures, or collection groups.